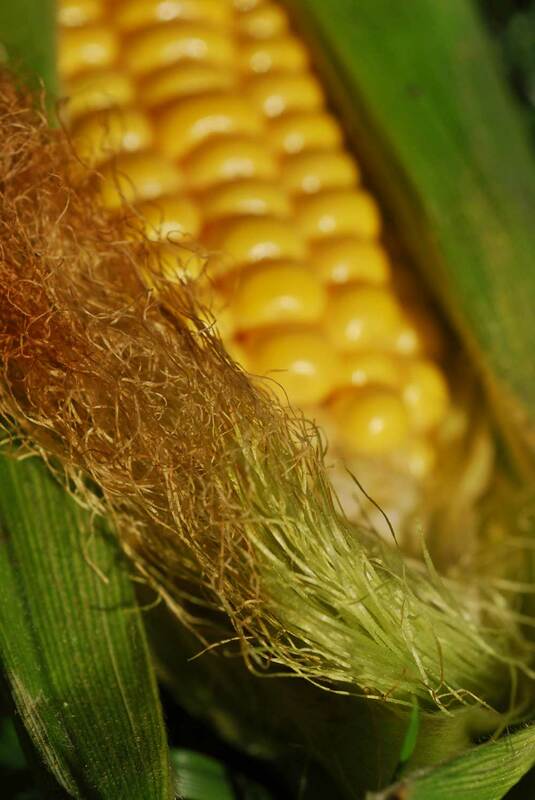 Revenue Protection policies insure producers against yield losses due to natural causes such as drought, excessive moisture, hail, wind, frost, insects, and disease, and revenue losses caused by a change in the harvest price from the projected price. The producer selects the amount of average yield he or she wishes to insure; from 50-75 percent (in some areas to 85 percent). The projected price and the harvest price are 100 percent of the amounts determined in accordance with the Commodity Exchange Price Provisions and are based on daily settlement prices for certain futures contracts. The amount of insurance protection is based on the greater of the projected price or the harvest price. If the harvested production plus any appraised production multiplied by the harvest price is less than the amount of insurance protection, the producer is paid an indemnity based on the difference. 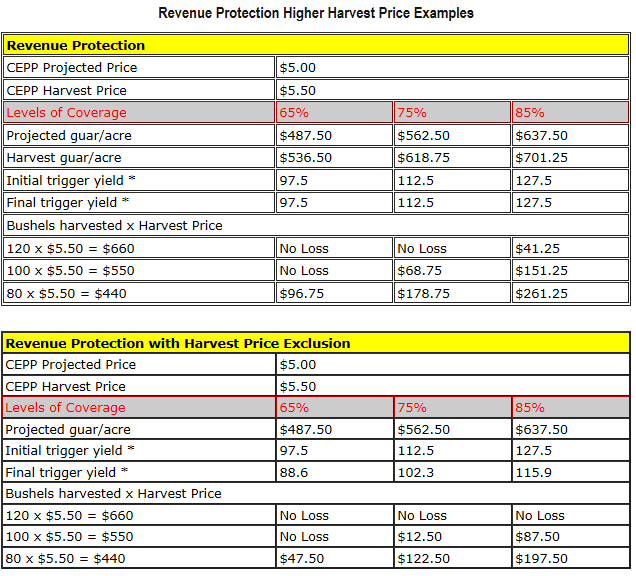 Revenue Protection With Harvest Price Exclusion policies insure producers in the same manner as Revenue Protection policies, except the amount of insurance protection is based on the projected price only (the amount of insurance protection is not increased if the harvest price is greater than the projected price). If the harvested production plus any appraised production multiplied by harvest price is less than the amount of insurance protection, the producer is paid an indemnity based on the difference. The Revenue Protection Plan provides protection against loss of revenue due to a production loss, price decline or increase, or a combination of both. Coverage is also provided for Replant and Prevented Planting. If the Harvest Price Exclusion is elected, the insurance coverage provides protection only against loss of revenue due to production loss, price decline, or a combination of both. A Basic Unit is all acreage of the crop in the county in which the insured has 100% ownership or shares with the same person. Optional Units are divisions by sections or section equivalents or, in some locations, by Farm Serial Number, by irrigated or non-irrigated practices and by acreage grown under an organic farming practice. An Enterprise Unit is all insurable acreage of the insured crop in the county, regardless of interest or persons sharing. A Whole Farm Unit combines all of an insured’s acres for all qualifying crops in the county into a single insurance unit. 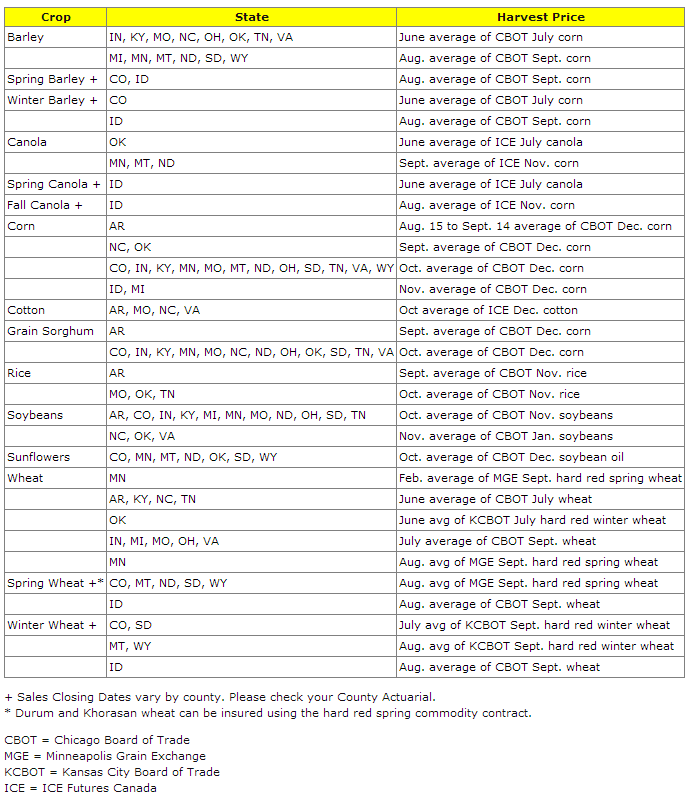 The Harvest Price will not be greater than the Projected Price multiplied by 2.00. 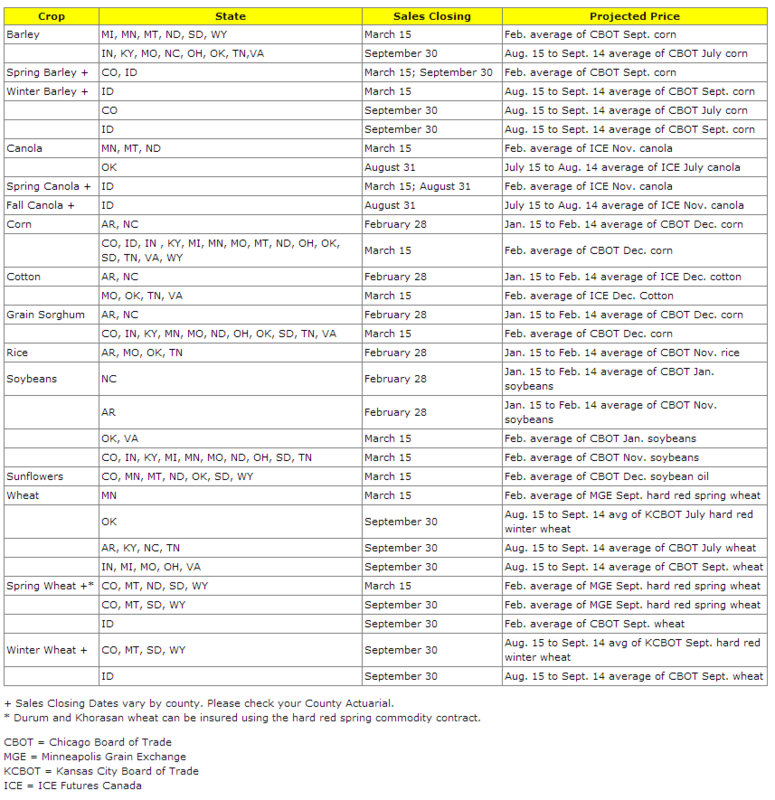 This information is intended for informational purposes only. Nothing contained herein can or should be interpreted to take precedence over policy language, Federal Crop Insurance Corporation/Risk Management Agency regulation, and Underwriting or Loss Adjustment rules.